Certain questions are unanswered till now, like “Why did the chicken cross the road?” Just like this, many pet parents wonder why their dogs chase their tails. We are here to answer and put this query to rest for you. Every living being have certain behaviors, be it humans or dogs. They do stuff that make their mind calm and at peace. 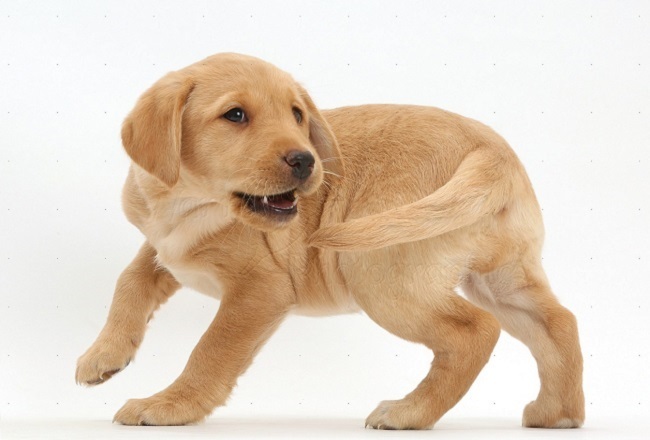 Let us check out few of the reasons why dogs chase their tails. When you dog chase his tail, do you laugh and pamper him? If yes, then you shall find your pooch chasing his tail often. If he wishes that you play with him, notice he might just go round and round around his tail. Boredom doesn’t only strike us humans, but also our dogs. They get jaded too. To get some energy and incorporate little fun to their routine, they chase their tails. If you notice cute little pups, they do the chasing much more frequently as compared to the elder ones. If you notice that your dog is chasing his tail all day long and trying to take it in mouth, then it’s time to take a trip to vet immediately. However, there are chances that a flea, fly or a worm might also be bothering your pooch. 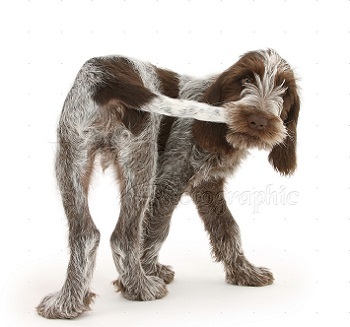 Another reason for your dog chasing his tail can be genetics. 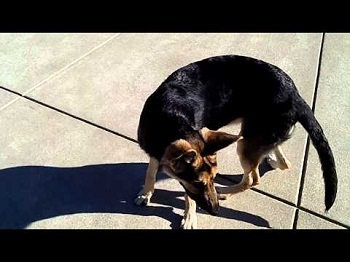 For example, German shepherds chase their tail much more often as compared to other breeds. 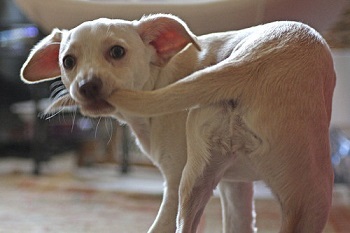 Just like some people suffer from OCDs (Obsessive Compulsive Disorder), certain dogs suffer from chasing the tail compulsion too. This behavioral issue could be caused by physical abuse, trauma, some injury or confinement. To help you better, it would suggest taking your furball to the vet. Hence, don’t avoid if you perceive that your dog is chasing his tail all the time. For his health, fix an appointment with the veterinarian. There are high possibilities that he is perfectly fine and doesn’t have any issue. But, as we all know, prevention is better than cure. A little check up with the doctor won’t hurt. 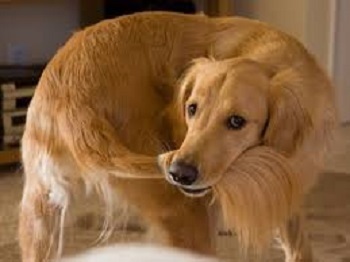 If you notice some obsessive behavior in your dog, do let us know here.